Maximise your contributions – if you have surplus income and have not already maximised the concessional contributions cap you may want to salary sacrifice to make the most of your contributions. Make sure you check what the cap is for your particular age group. This will reduce your taxable income and increase your retirement savings. Get a super top up from the Government – if you earn less than $49,488 from employment income you may qualify for a government contribution of up to $500 if you make a personal after tax super contribution of up to $1,000. This will help you to increase your retirement savings. Boost your partner’s super and reduce your tax – if you have a spouse who earns less than $13,800pa you could make an after tax super contribution on their behalf. You receive a tax offset of up to $540 and increase your spouse’s retirement savings. Pay less tax on investment earnings – if you have investments in your own name it may be worthwhile to cash them out and use the money to make a personal after-tax super contribution. You could reduce tax on investment earnings by up to 32% and increase your retirement savings. 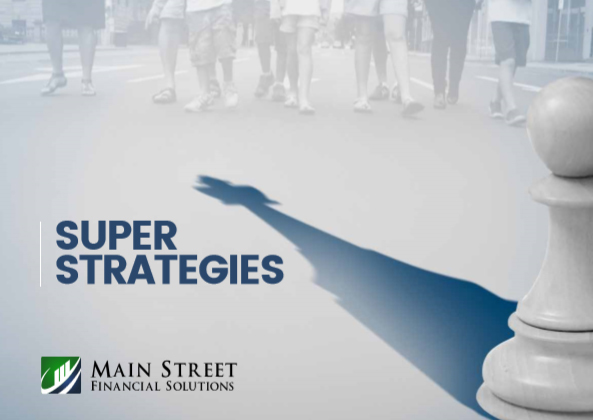 Make insurance more affordable – you can purchase life and total and permanent disability insurance inside of super. By doing this you can benefit from tax concessions and make the premiums more affordable. Pre-pay income protection premiums – if you hold your income protection insurance outside of super and are an employee or self-employed, you can pre-pay 12 months premiums to bring forward your tax deduction to pay less income tax in this financial year. Pre-pay your investment loan interest – you could pre-pay 12 months interest on your investment loan. This will bring forward your tax deduction so you pay less income tax in this financial year. Plan carefully – if you are looking at buying or selling assets you should consider the tax implications whether it be gains or losses and plan carefully to minimise the impact. Make better use of your tax refund – if you receive a tax refund you may want to firstly pay off non-deductible debts, look at debt recycling or boosting your superannuation. This will enable you to save on interest costs and invest your refund tax effectively. 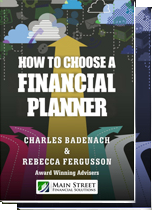 Should you wish to sit down with a financial planner and look at what the best strategies are for you, please do not hesitate to contact Rebecca Fergusson or Charles Badenach on 6173 0070 or client.support@mainstreetfs.com.au. With financial institutions tightening their lending criteria, we have had an increase in the number of enquiries from people thinking about investing with friends, family or neighbours. In most cases the investment returns offered are higher than you would usually expect and in many cases you are the lender of last resort which should ring alarm bells in itself. As a starting point it is worth remembering that if a bank won’t lend someone money and they have an established process with a strong track record of assessing the good, the bad and the ugly, why would you do it ? I am amazed though at the people I have met over the last 15 years that have invested money with a friend, relative or associate on the basis of the “next big thing”. Investing is a difficult enough process without adding personal emotion and relationships into the equation. Everything you do should be treated as an investment decision and you should both have an aligned horizon of investment. All discussions should be documented and appropriate legal agreements drafted and signed by all parties to avoid confusion at a later date. Be very wary about signing guarantees, requests for confidentiality and situations where people need money urgently . Get independent professional advice, and although it may be costly this can save you significant grief at a later stage. We wouldn’t recommend investing with friends irrespective of the situation. Goodluck.